Incredibly built, very substantial construction on this Double Store Front on Clark Street of Forest City! Same owner for 62 years. Prestressed concrete construction with 4000 Square feet on both levels. Updated mechanics and roof is 3 years old. Open floor design includes Vintage Soda Fountain, counters and stools. Balcony office space that overlooks entire store. Lower level is dry with alley access storefront which adjoins to a City Parking lot. 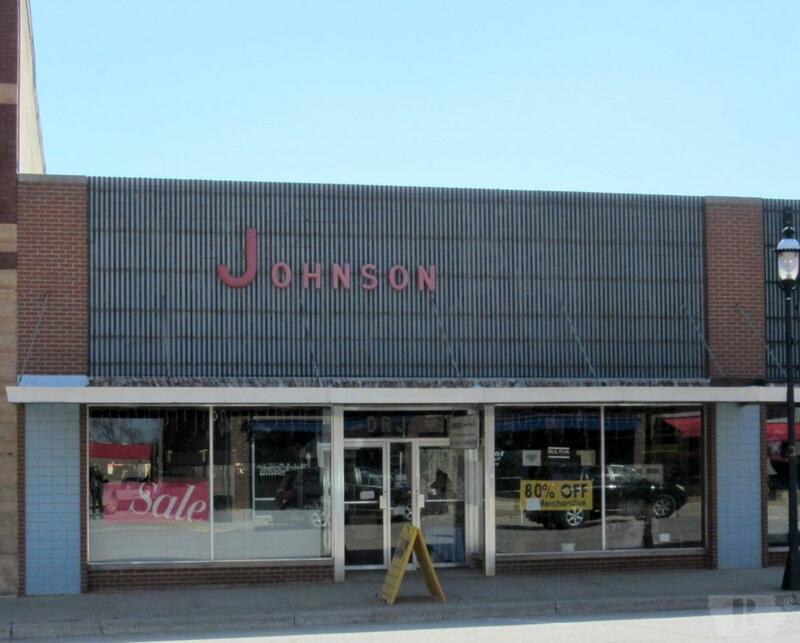 This Building offers a great location close to Waldorf University. Windows Glass Front On Storefront And in The Alley. Basement FullOther/See Remarks Basement YN Yes Bathrooms Two Ceiling Height Max 0.00 Cooling Central A/C Fireplace No Floors Tile Heating Gas Forced Air Sqft Freezer 0.00 Sqft Manufacturing 0.00 Sqft Mezzanine 0.00 Sqft Office 0.00 Sqft Other 0.00 Sqft Refrigerator 0.00 Sqft Residence 0 Sqft Warehouse 0.00 Walls DrywallFinishedPaneling Windows Glass Front On Storefront And in The Alley.